Beirut, November, 2014 ? 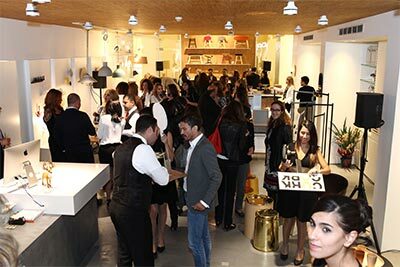 Cork Living celebrated the grand opening of its lifestyle furniture and accessories store on Thursday, November 20th, 2014 in Tabaris, Achrafieh. A variety of media, bloggers and VIPs in the region attended the event, showcasing unique items that will have people fall in love with their homes all over again.Today?s fast-paced world emphasizes the need for high functionality, practicality and smart location management. Cork Living appreciates the importance of personable spaces and comfort in the context of today?s modern living standards, which is why it offers innovative and practical furniture for its clientele?s personal spaces. Commenting on the occasion, Mrs. Sylvie Khoury, General Manager of Cork Living said: ?We are thrilled to be offering our customers the best products and accessories from top-notch design houses. Our selection of first-quality merchandise is handpicked, further setting us apart from other furnishing companies. ?